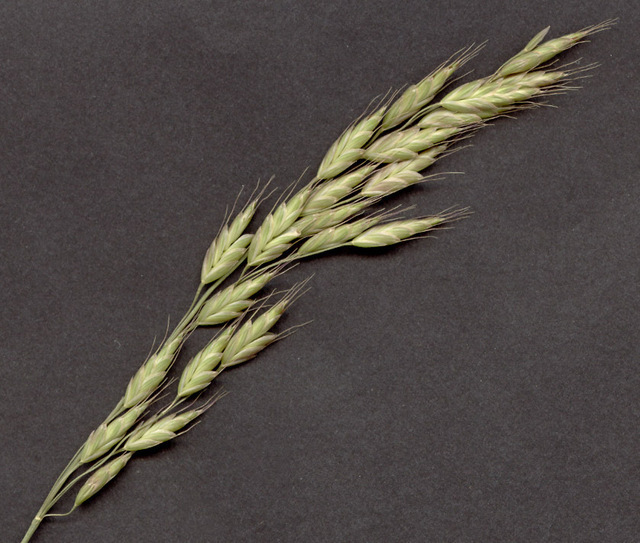 Bromus racemosus inflorescence. © Copyright Malcolm Storey 2011-2115 · 3.dicoverlife.org (Accessed 11/2015). 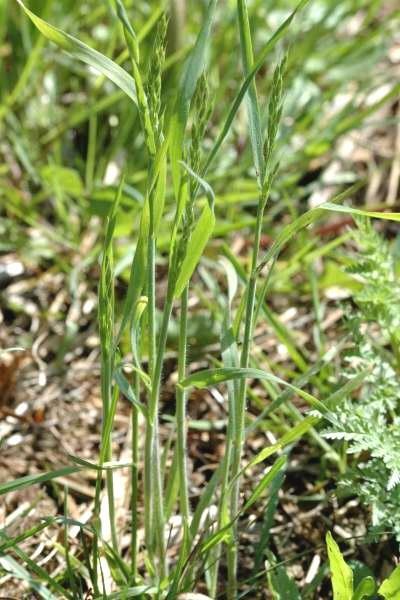 Bromus racemosus is an annual C3 grass (Williams et al. 2011), 30 cm to 1 m tall, lower sheaths hairy, upper sheaths less hairy to smooth. Bromus racemosus leaves. By James Lindsey. Copyright © 2017 James Lindsey. Ecology of Commanster – www.commanster.eu/commanster.html. (Accessed 11/2017). Flower spikelets 4-10 flowered, 1-1.5 cm long; glumes to 0.4-0.7 cm long; lemmas to 0.8 cm hood-shaped, tip rounded, awn 0.5-0.9 cm long; inflorescence 5-15 cm long, narrow, branches strongly ascending; blooming and fruiting June-Aug.